Ensuring the health and safety of employees. Integrity in all aspects of business while delivering profitable sustainability. Going beyond the legislated requirements to provide an accident-free workplace. Trained, empowered and competent workforce. Encouraging employees to take initiative and give their best. Adopting a Just Culture environment that empowers employees to lead and make decisions. Promoting a healthy work-life balance for all employees. Committing to a high standard of product and service delivery. Open and respectful communications with employees, customers and suppliers. Respectful of diversity and supporter of equal opportunities. Contributing to local community and demonstrating corporate social responsibility. Pursuing innovative ideas that have the potential to deliver positive change. Ken Norie obtained his commercial pilot's license with helicopter endorsement on his 18th birthday, making him the youngest person in Canadian history to achieve this certification. He joined VIH Helicopters as a pilot in 1973 and in 1978 moved to Prince Rupert as VIH's Base Manager. In 1986 he moved to Victoria as VIH's Marketing Manager and thereafter became VIH's Operations Manager. Mr. Norie held this position until 1991 when he founded VIH Logging Ltd. which was instrumental in obtaining the Canadian certification of Kamov KA32 helicopters in Canada for use in heli-logging. In 1999 he became the sole owner and President of VIH Helicopters and he rebranded and consolidated his growing group of aviation businesses under VIH Aviation Group Ltd. 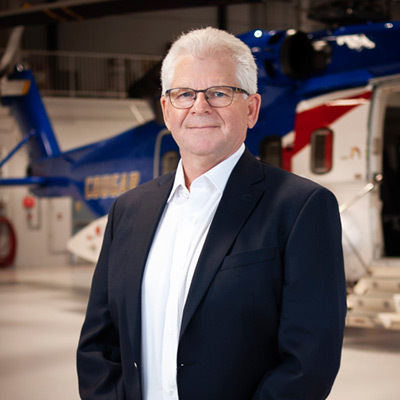 Under Mr. Norie's ownership the business has grown through acquisitions and strategic investments from a regional domestic VFR operator to a diversified group of aviation businesses providing helicopter services in Canada and internationally. Cougar Helicopters became a part of the VIH Aviation Group in 2003. Hank Williams commenced his career in the transportation industry in 1992 and joined Cougar Helicopters in 1996. Hired first as a Passenger Movements Coordinator, he advanced throughout the organization and was appointed General Manager in 2010 and Chief Operating Officer in 2016. A hands-on manager and leader, he holds responsibility for all of Cougar's offshore oil & gas and search & rescue operations globally. 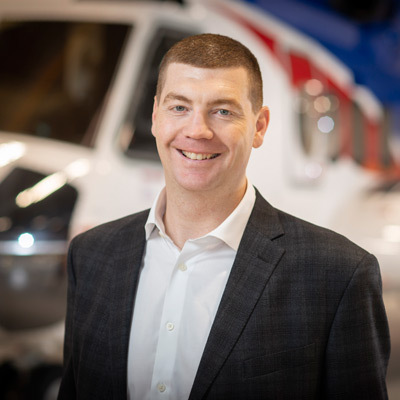 Hank has completed the Helicopter Association International's Helicopter Operator Management Course, is a member of London-based Heli Offshore and is a Director of the Newfoundland & Labrador Oil & Gas Industries Association (NOIA). 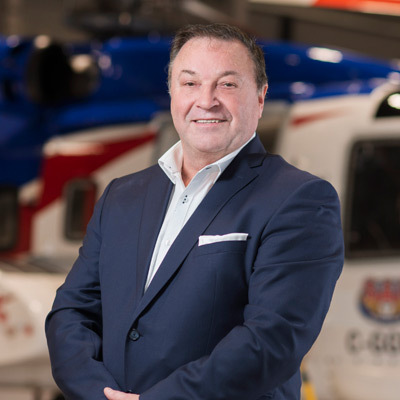 JJ Gerber has been flying since 1983 and joined Cougar Helicopters in 1997 at the start of oil production in Newfoundland & Labrador. Hired as a First Officer and progressing to Captain and Training Pilot, he also served as Chief Pilot for five years and in 2007 was appointed Director of Flight Operations. In 2016, he was appointed Operations Services Manager ensuring that the company delivers its operational mandate by overseeing the activities of the Pilot Operations, Passenger Handling, Dispatch, SAR and Maintenance departments. 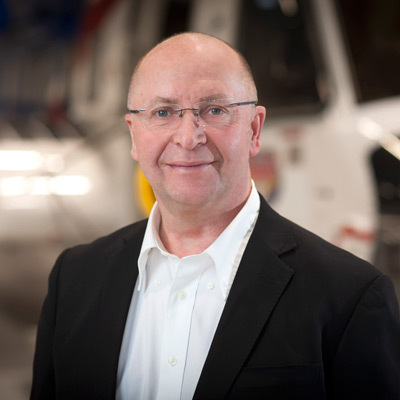 Mr. Gerber is endorsed on S76, S61, Super Puma and S92 and several smaller helicopters and maintains his license and IFR ratings. Immigrating to Canada from South Africa in 1995, he briefly worked as a commercial flight instructor in Ontario. Prior to immigrating, he worked for 13 years as a helicopter pilot in the South African Air Force where he flew on several UN deployments, search and rescue, ship-borne operations as well as two tours of duty in Antarctica. Will Jacobs is Safety and Quality Manager joining the company in 2015. Prior to this, Will led the membership-based Aerospace & Defence Industry Association of Newfoundland & Labrador as its Executive Director for two years. Before that Will proudly served his country for 22 years as a member of the Canadian Military in a number of positions: Executive Officer with the Directorate Strategic Planning, NATO Supreme Headquarters Allied Powers Europe; Commanding Officer of the Canadian Forces School of Aerospace Technology and Engineering; Chief of Staff, Wing Commander, 16 Wing, Borden; Team Leader Electrical/Test/Software Systems; Engineering & Maintenance Manger, 403 Helicopter Squadron; System Manager, Tactical Helicopters Avionics and Software; Project Support Officer, Helicopter Test & Evaluation Flight; Maintenance & Engineering Officer, 444 Tactical Helicopter Squadron; Desk Officer, CH147 (Chinook), CH113(Labrador), CH118(Iroquois) Helicopter Fleets; and Electronics Technician, 447 Helicopter Squadron. Will received his Bachelor of Science Physics Degree from Memorial University of Newfoundland & Labrador; an Aerospace & Engineering degree from Canadian Forces School Aerospace Engineering; and his Masters of Defence Studies from the Royal Military College of Canada. Jonathan Mahoney joined Cougar Helicopters in 2013 as Accounting Manager and in December 2015 was appointed Finance Manager. Prior to joining Cougar, he was Senior Corporate Accountant at Verafin Inc., a company specializing in fraud detection and anti-money laundering software for the banking industry, where he led a team of finance professionals for a still young and up-and-coming organization. Previously, he was Senior Accountant and Associate with Grant Thornton LLP and PricewaterhouseCoopers LLP respectively, where through years of auditing organizations in various industries he developed his keen attention to detail. Mr. Mahoney received his Bachelor of Commerce degree from Memorial University of Newfoundland & Labrador in 2005 and has been a member of the Chartered Professional Accountants of Newfoundland & Labrador since 2009. Mark Broderick is Human Resources Manager. 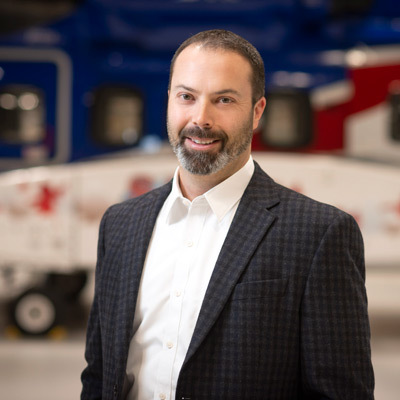 Since joining Cougar Helicopters in 2013, he has been providing senior leadership in all areas of human resource management, including labour relations. Prior to joining Cougar, Mr. Broderick gained progressive human resources experience by working in both unionized and non-unionized workplaces with federal and provincial legislation since 1998. Mr. Broderick is a graduate of Memorial University of Newfoundland & Labrador receiving his Bachelor of Commerce degree in 1998 and his Masters of Employment Relations in 2009. 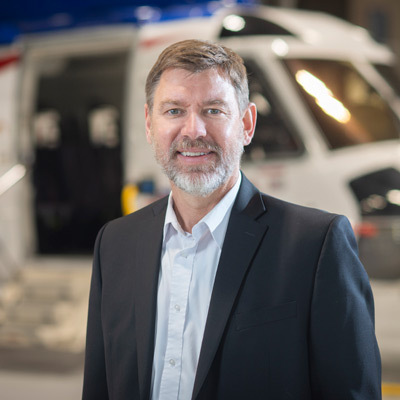 Employed in the aircraft maintenance industry since 1983, Morris Kendell joined Cougar Helicopters in 2008 as Quality Assurance Inspector, in 2013 he accepted the position of Base Engineer and in November 2017 he was appointed Maintenance Manager. Mr. Kendell also holds the titles of Controlled Goods Designated Official and Minister's Delegate-Maintenance – an appointment by the Minister of Transport for issuance of Certificates of Airworthiness and Exportation Airworthiness Certificates of aircraft. 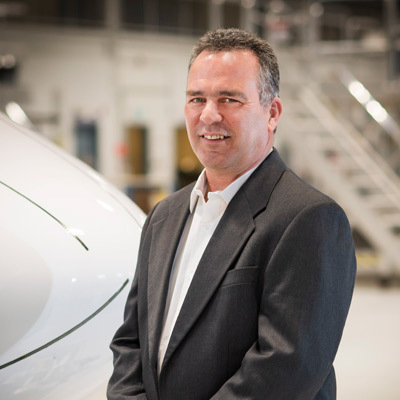 Prior to joining the company, Mr. Kendell was the Owner/President of Kendell Aviation Services Inc., providing maintenance consultation and import and export services for aircraft on an international basis; Manager Aircraft Maintenance with Provincial Airlines; Manager Technical Services with Canjet Airlines; and Director of Maintenance with Air Atlantic. He has endorsements on ten different aircraft types. In 2017 Mr. Kendell received the prestigious Earl Blakney/Aviall Award by the AME Association for outstanding performance in the aviation industry.